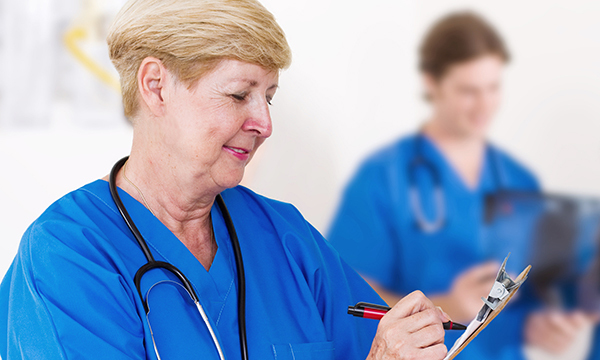 A ‘perfect storm’ of risk factors is threatening the supply of nurses to the UK’s health service, the RCN has warned. The college’s labour market review, published today, highlights an ageing nursing workforce, a real terms cut in nurse pay and the impact of Brexit on international recruitment. The research shows that more than half of nurses are aged 45 or over and within ten years of being eligible for early retirement. In England, just under half the workforce (48%) was aged 45 or over in 2015 compared with 38% in 2010. Scottish nurses and midwives in the same age category accounted for more than half (54%) of the workforce in 2015, up from 43% in 2006. There was a 10% rise in the Northern Irish nursing workforce, including midwives and health assistants, aged 45 or over between 2006 and 2015 – from 36.8% to 46.8%. Figures for Wales were not available. The RCN said this age profile means the health service is more reliant on finding new staff than ever. The report shows that there has been a cumulative real terms fall in weekly earnings of 13.9% for full-time nurses between 2010 and 2015. It calls on the government to scrap its 1% pay cap, which is in effect until 2020, to ensure enough staff are available to provide safe patient care. The report also argues that the supply of nurses from Europe could be threatened by the UK restricting the flow of immigrants from Europe post-Brexit. Existing NHS staff from the European Area could choose to leave due to uncertainty before the Brexit settlement, it added. It shows that the inflow of overseas nurses to work in the UK has risen steeply, from 3,858 in 2010-11 to 11,261 in 2015-16 according to the Nursing and Midwifery Council register. In the last year, 32% of new registrants were from the European Economic Area (EEA) and 8% were from outside the EEA. The DH said there are more than 10,700 additional nurses on wards since 2010 and 50,000 in training. Its changes to student nursing funding will create thousands more training places, the spokesperson added.